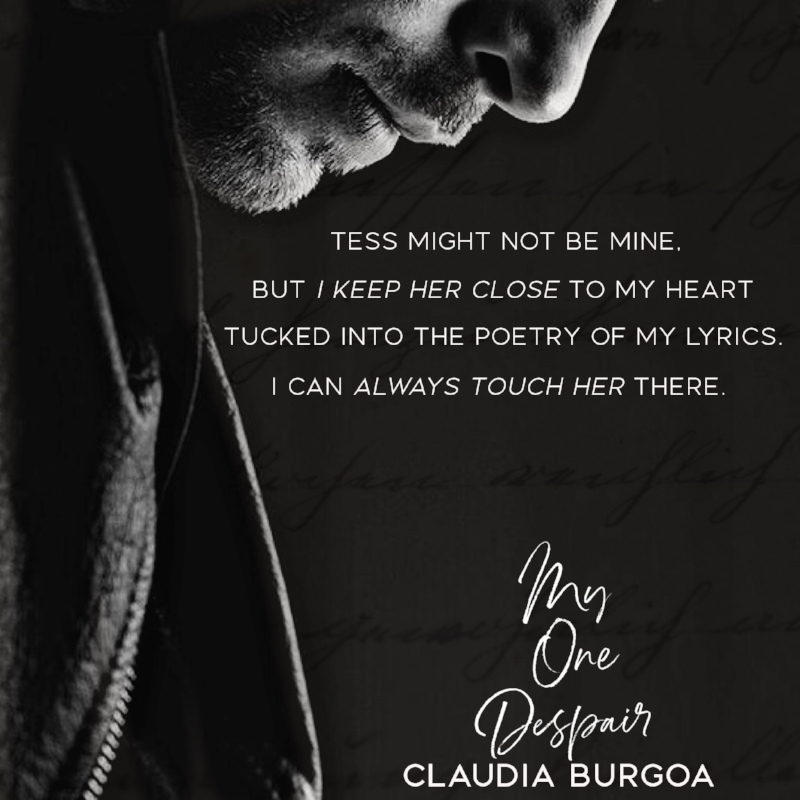 Check out this gorgeous cover of MY ONE DESPAIR by Claudia Burgoa. This heart-rending second chance romance is coming November 1st. Music is all I know. It saved me as a kid. It brings me fame and fortune now. But what am I, the famous Gage Rodin, doing at night when I’m on the road and can’t sleep Googling her. Tess Hades, the girl who still haunts my dreams and my lyrics.